Light pink, navy blue & black lady's v-neck t-shirts & grey, royal blue & black men's t-shirts are now in stock from size small through to extra large. 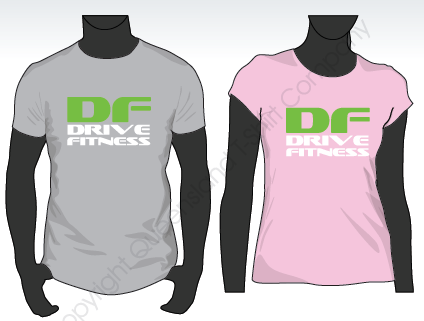 All Drive Fitness t-shirts are $19. They are light weight, high quality and fit comfortably for both day to day wear & hard training sessions - perfect for personal training sessions, boot camp and Drive Fitness events. Complete the form at the side for easy ordering and we will deliver your shirt to your next training session where you can pay on pick up.